Windsor Blinds & Awnings - Awnings Newcastle offer a complete range of awnings in Newcastle, including automatic awnings, pivot arm awnings, auto lock arm awnings, aluminium awnings, Carbolite awnings and Prestige awnings. For over over 60 years, Windsor Blinds & Awnings - Awnings Newcastle' success and progress is largely attributed to their dedication to customer service. Windsor Blinds & Awnings - Awnings Newcastle' policy combines quality awnings, value for money and exceptional service, allowing for your complete satisfaction. 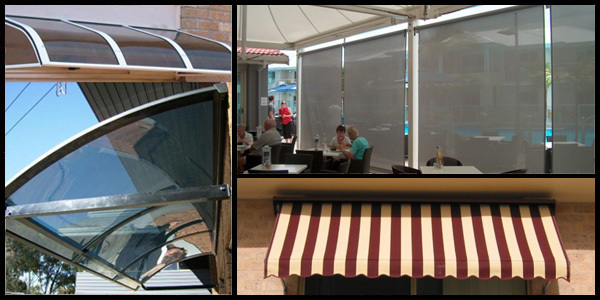 Windsor Blinds & Awnings - Awnings Newcastle uses only the highest standard of materials including canvas, acrylic, mesh and aluminium, perfectly designed for Australian conditions.